Last April, I scheduled a trip to Walt Disney World on short notice. Because of the very attractive discounts often offered to people who have WDW annual passes, I went ahead and bought an AP even though I had no plans to make another visit to WDW. The AP saved me $700 on lodging during that trip, and it only cost me $560, so I was ahead by more than $100 before I ever left California--and had free theme park admissions for a year to boot! 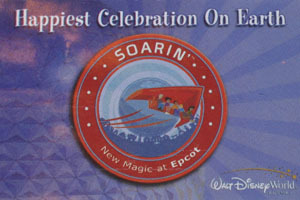 In early August of 2006, I called WDW and booked eight nights at Port Orleans Riverside as a placeholder reservation. When the January AP discounts were released in early November, I called back and changed to four nights at Port Orleans, followed by three nights at Animal Kingdom Lodge. On this trip, my flights would get me to Orlando in the early evening, so I decided to take full advantage of Disney's free Magical Express service. Last April, I took the ME bus, but handled my baggage myself, because I was arriving in the mid-evening and would likely want to go to bed before my luggage arrived. For this trip, the timing seemed good to let Disney pick up my checked bag and bring it to my room. 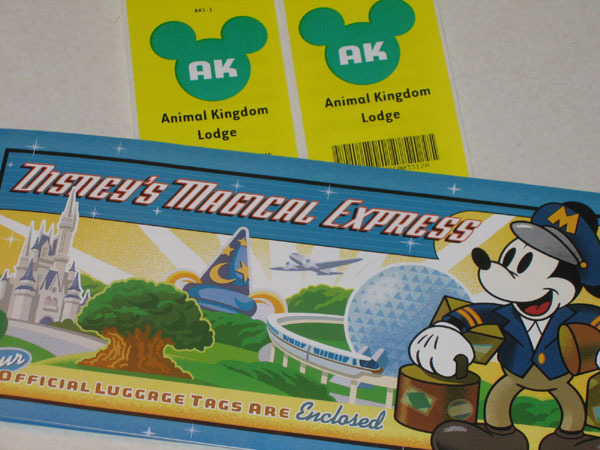 As for the folks I'd be playing around WDW with, Meg and Lloyd decided to spend 10 days there, with three nights each at Pop Century, the Contemporary, and Animal Kingdom Lodge. Our Florida friend Nick was able to schedule a week's vacation from work, and booked lodgings at Pop Century. So things were coming together nicely for all of us...until Meg got caught up in a budgeting crisis at work that would keep her in California until Tuesday, January 9th. That meant she would miss half of her scheduled vacation, including the marathon. :-( :-( It was unfortunate, but there was no way to avoid it. But aside from that glitch, our plans were coming together well for a fun week in Florida. Text and photos (c) 2007 Patricia F. Winter, unless otherwise noted.